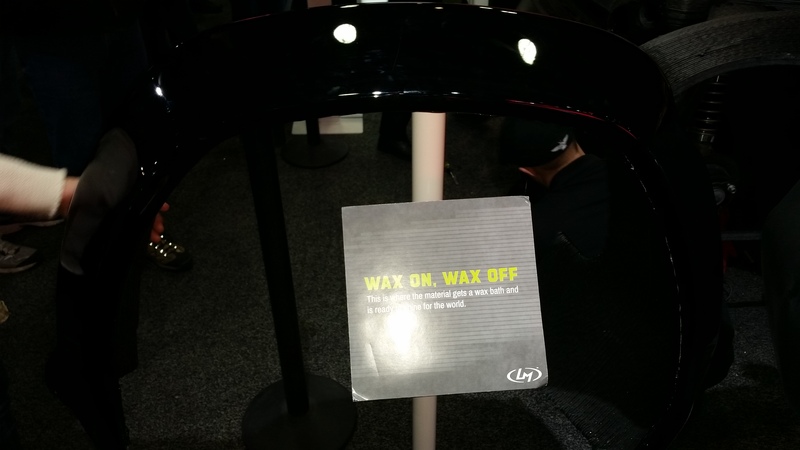 Today, I’m leaving the Ford booth to focus on another demonstration that caught my eye. And it’s a doozey. 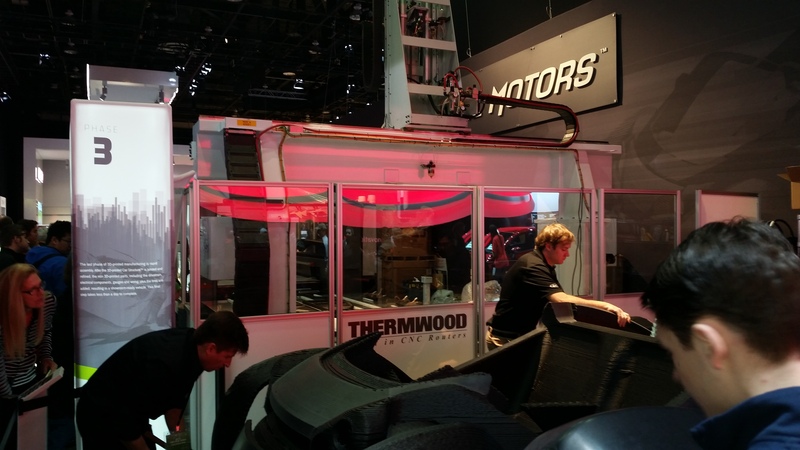 What you’re looking at here is a miniature factory sitting right on the auto show floor. Start up company, Local Motors, brought it with them from Arizona to help the public better understand their manufacturing process. Instead of traditional manufacturing which requires miles-long factories, hundreds of robots, and thousands of workers toiling along assembling tens of thousands of components to make a single car identical to hundreds of thousands of others, Local Motors is going for simplicity. You see, Local Motors is in the business of printing cars. 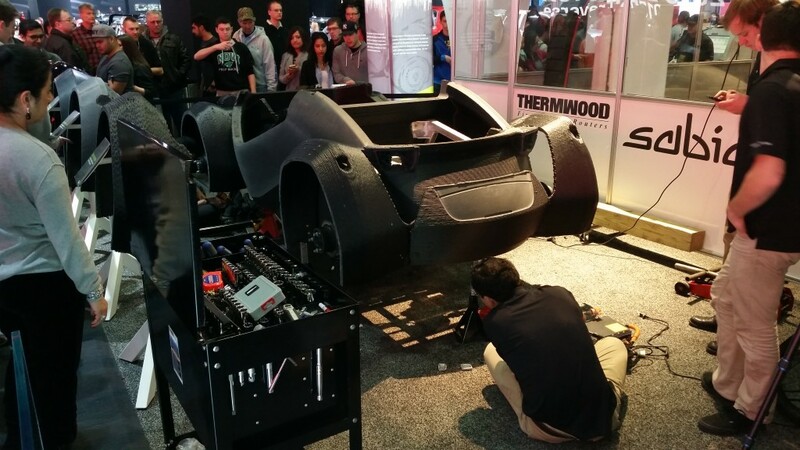 While the big car companies have embraced 3D printing for cranking out study models, prototypes, and even some individual components, Local Motors is printing the entire chassis, body panels, doors, and interior of the car. Only things like the electric engine, suspension components, and batteries need to be sourced from traditional suppliers. 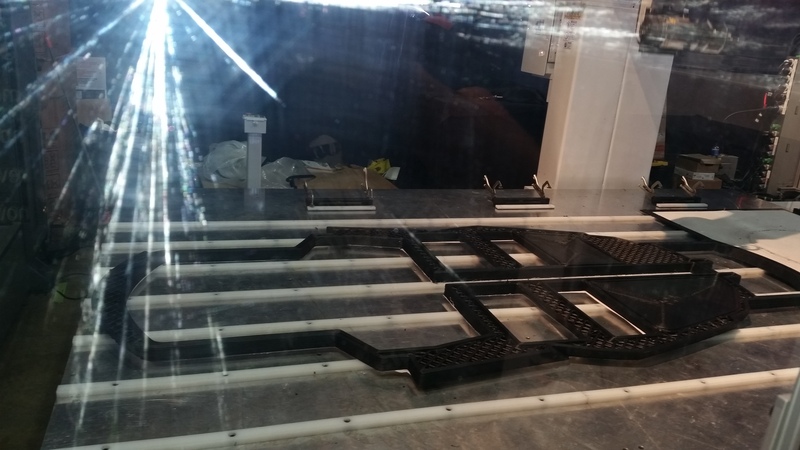 If you’re at all familiar with 3D printing technology, the sort you can find at design studios and even in the home, the process is nearly identical, except much larger. here are several methods of 3D printing on the market, but they all use robotically controlled arms to deposit thin layers of material in the shape of hundreds or thousands of two-dimensional silhouettes stacked one on top of another to create a three-dimensional object. Think of it as the reverse of CNC machining. Scaled up, this process is also known as BAAM, or Big Area Addition Manufacturing. Instead of cutting out sheet metal forms, pressing them into shape, then riveting or welding them together, Local Motors uses their giant industrial printer to replace entire assemblies with a single component, drastically reducing the total number of parts and radically simplifying the manufacturing process, while increasing structural integrity and longevity of the parts. And don’t think that these cars will look like somebody’s giant Lego obsession. That’s just a rough car being test fitted. 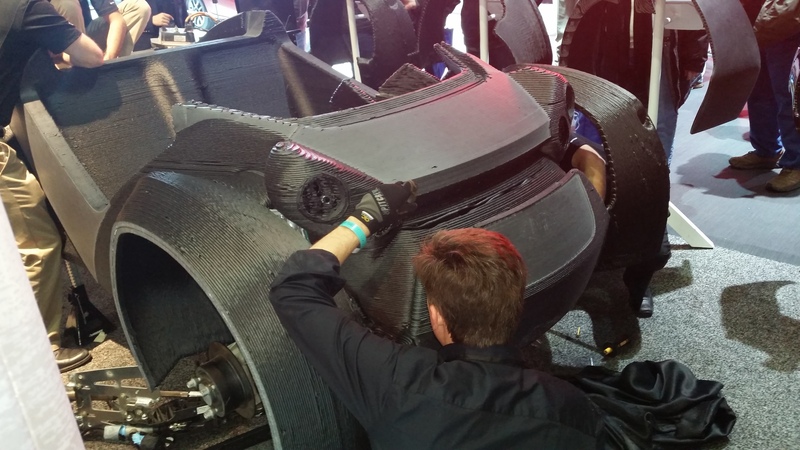 The body panels and other components then undergo a smoothing and polishing process that makes them visually indistinguishable from the metal, fiberglass, or carbon fiber of more traditional vehicles. 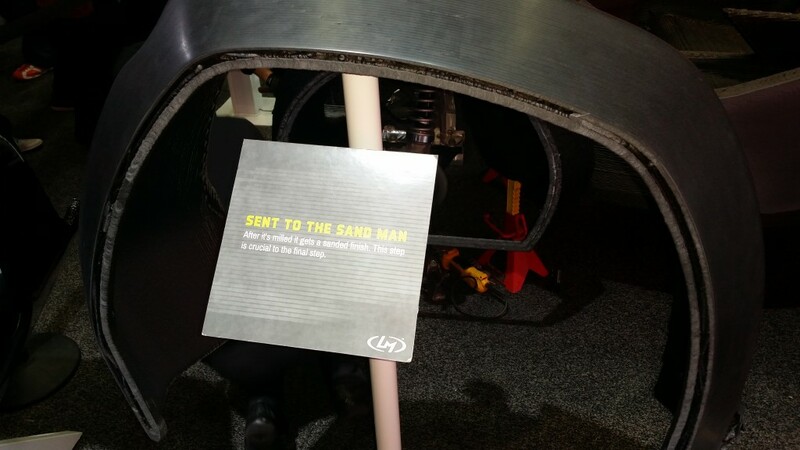 Local Motors even left out examples to explain what each stage of the process looks like. Sorry, my camera phone flash had a little trouble with that last one. Just trust me that the fender looked no different from a highly polished automotive clearcoat, despite being unpainted. What you end up with is a car manufactured from a single robot that can then be assembled by a handful of technicians in a matter of hours. At the moment, Local Motors says the printing process takes 44 hours in total per car, but they’re goal is to get the figure down to 24 in the coming months. As for the Strati in these pictures, I was told that the plan was to finish printing an entire car, assemble it, then drive it out of the show, making Local the first company to leave NAISA in a car that didn’t exist when the show started. As a demonstration of the power and flexibility of this new manufacturing technique, I think it’s a pretty convincing one. I’m spending the weekend at ConFusion in beautiful Detroit. Over the last three years, it’s easily grown to be my favorite little sci-fi and fantasy con. 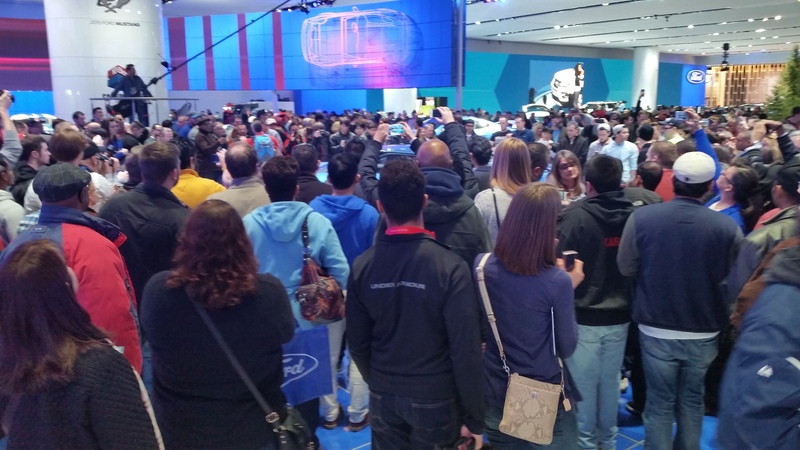 So naturally, this is a report about the North American International Auto Show, because it’s my blog and stop asking questions. First of all, let’s get one thing out in the open. I am a Ford fanboy. I’m currently on my fourth Mustang, which I will be trading in at the end of the year for… wait for it… another Mustang. This being the case, I’m not going to even pretend to any sort of journalistic neutrality or factual objectivity. It’s not going to happen. This is not your daddy’s Ford. It is a thoroughly modern supercar designed to take on the best the world has to offer. 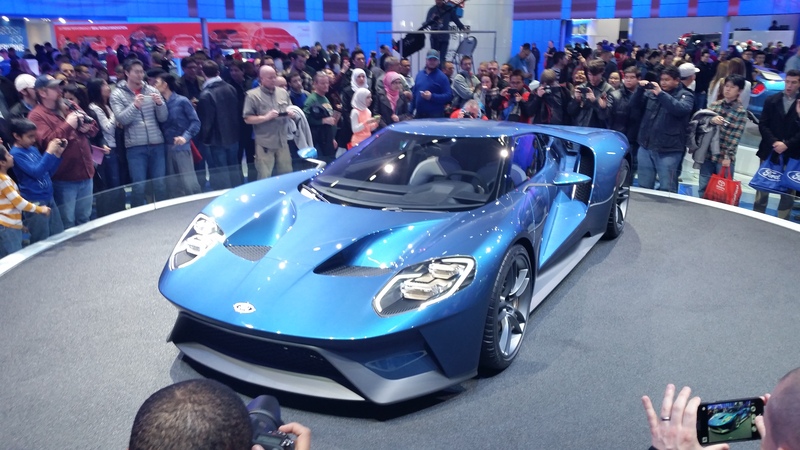 It shares a name with Ford’s first supercar, the mighty GT40, which was built to slap Enzo Ferrari right in the face at the 1966 Le Mans 24 hour endurance race. That year, the MkII took 1st, 2nd, and 3rd. The cars then went on to win Le Mans in 1967, 1968, and again in 1969, which is not so much a slap in the face as a sack-tap with a branding iron. 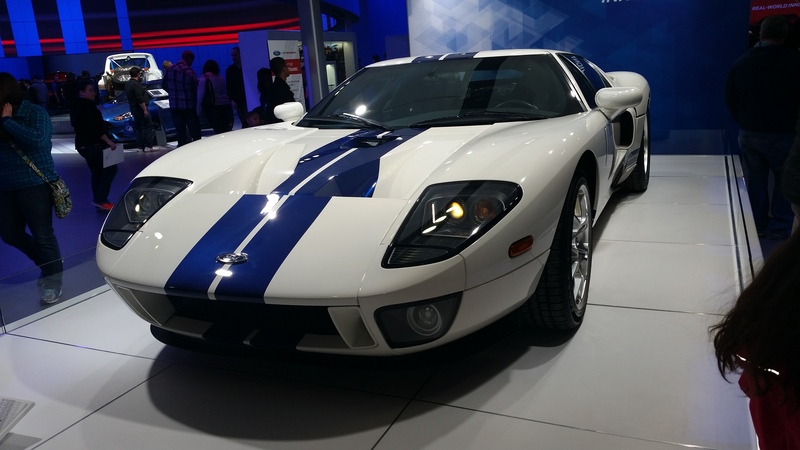 In 2005, Ford brought back the GT with a highly sought after tribute to the legendary racer. The second generation very closely followed the design of the original, while making it a streetable car for the first time with little things like a radio, AC, and power windows. 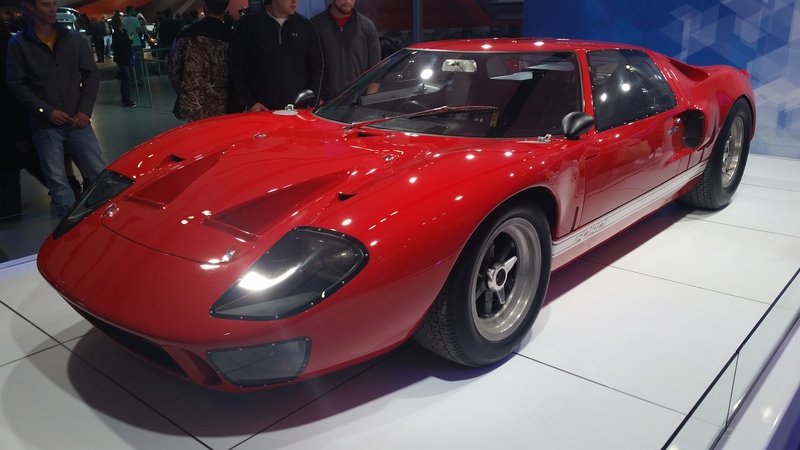 However, as beautiful and capable as the second generation GT was, it wasn’t the dedicated endurance racer its predecessor had been, and it failed to recapture past glories on the racetrack. 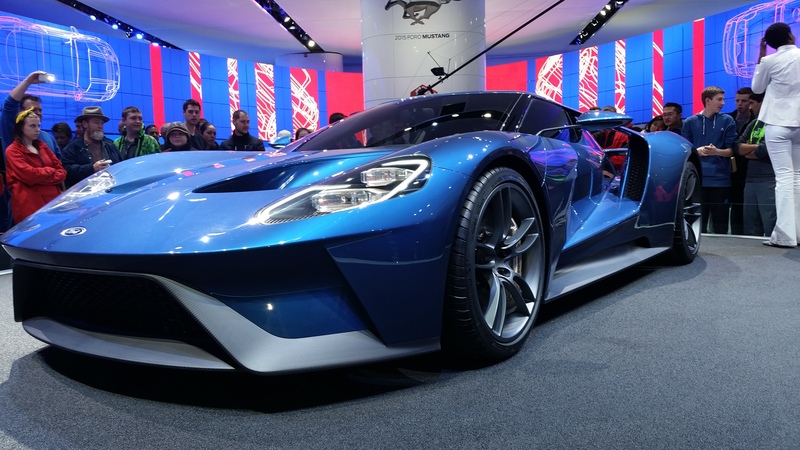 This is not the case with the third generation car Ford just unveiled. 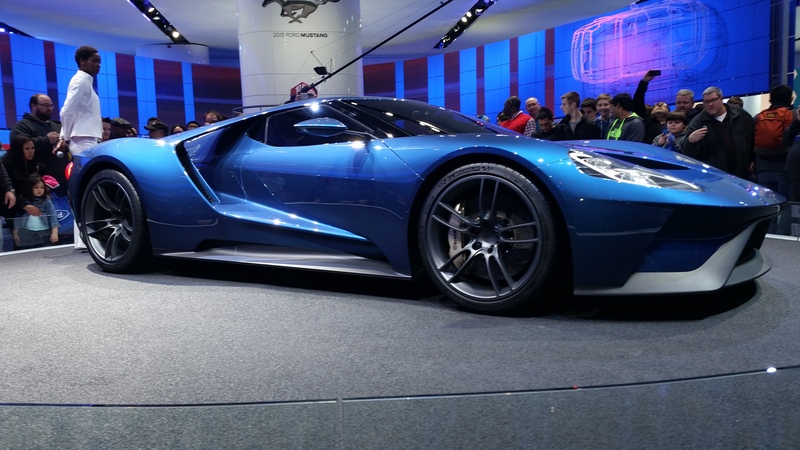 Aerodynamically and aesthetically, there wasn’t anything else at the show that could touch it. With its tear-drop shaped cockpit and enormous pass-throughs behind the rear wheel arches, it looks like it’s waiting for clearance from air traffic control to take off and return to its home thirty years in the future. 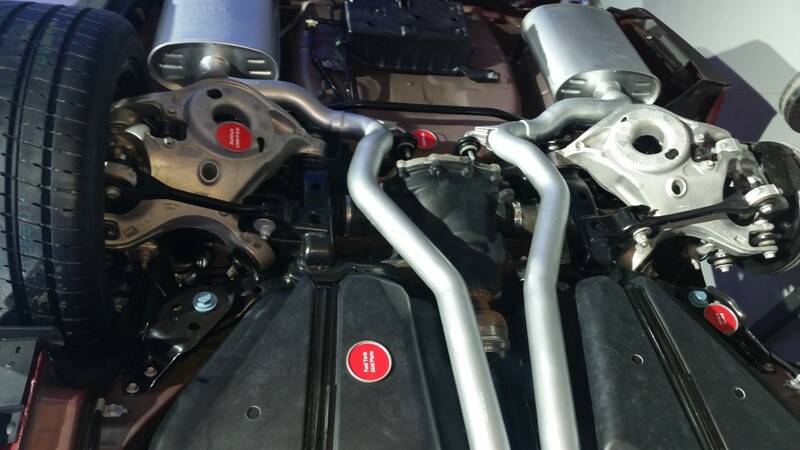 And while you will hear a lot of belly-aching from old school purists about its 3.5 liter, twin turbocharged V6 engine replacing the 5.4 liter supercharged V8 of its predecessor, ignore them. The power plant inside that gorgeous fuselage is based on an already proven race engine that will deliver over 600 horsepower while not only being lighter and smaller than the V8 which lets the rear fuselage taper down to reduce drag, but its smaller displacement will allow the new car to compete in a wider field of classes on the racing circuit. It runs on Corvette owners’ tears. This car, then, was not built out of nostalgia. It is not an homage to past glory as the last generation car was. 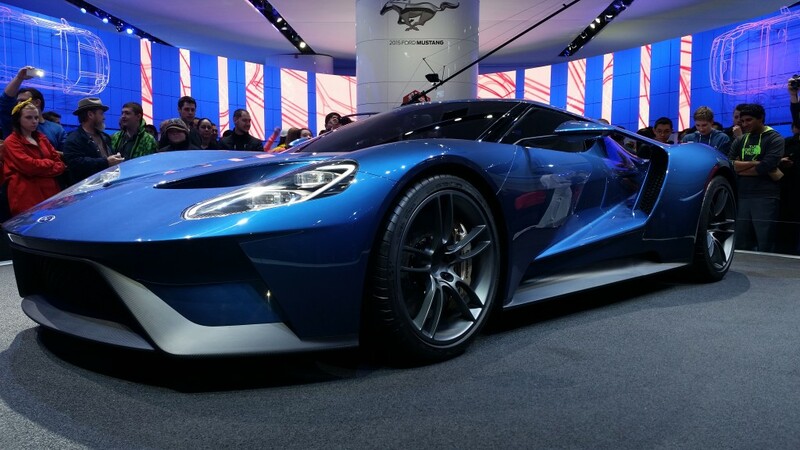 Instead, it’s a promise to all of the devotees out there that Ford once again aims to not just slap Ferrari, Lamborghini, and Porsche, but take their lunch money everyday for a month, save it up, treat their mom to an evening out on the town, then get her knocked up and become their step-dad just to really drive home the point of who, exactly, is in charge around here. 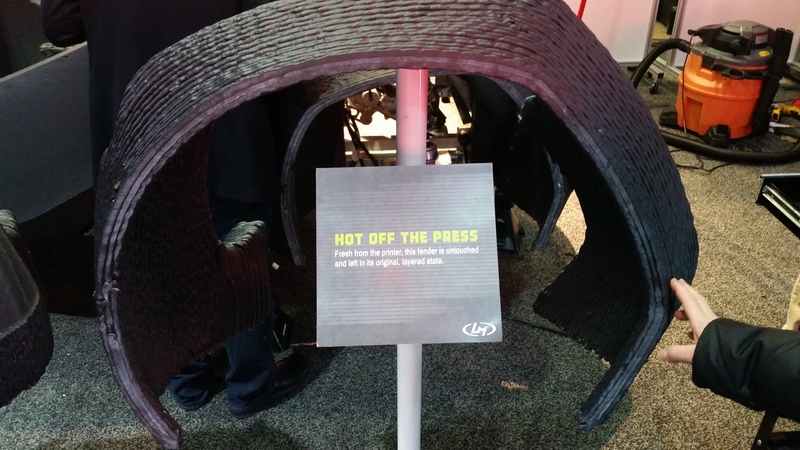 And it wasn’t the only bit of Ford Performance goodness to find itself on a giant Lazy Susan. But before we get to it, first we need a little history lesson about the one true pony car, the Ford Mustang. You see, for the first half-century of the Mustang’s existence, (save for the 2003-04 Cobra) all Mustangs were fitted with what’s known as a solid live axle, which was nothing more than a great honking steel sewer pipe that ran from one rear wheel to the other. Now, solid live axles have a couple of advantages over other systems. They are lighter, less complex, cause less parasitic power loss, and are far cheaper to manufacture. But what really kept them fitted to the Mustang for decades longer than nearly any other car was the fact they provide better straight-line acceleration than other options. It is for this reason almost exclusively that traditionalist Mustang owners, who can often be seen at the local quarter mile drag strip on the weekend, successfully lobbied Ford to hold onto the antiquated technology long after the rest of the automotive world had moved on. But the very thing that made the Mustang so good on the drag strip is also what made it so bad at nearly everything else. You see, with a solid live axle, the rear tires are connected. What happens to one, happens to the other. So when the left side of your car hits a bump, the right tire effectively hits the same bump. This is not good for going around corners or maintaining traction. But there is a solution, and it’s called an Independent Rear Suspension. An IRS on a 2015 Mustang Ford very helpfully tipped over for us. 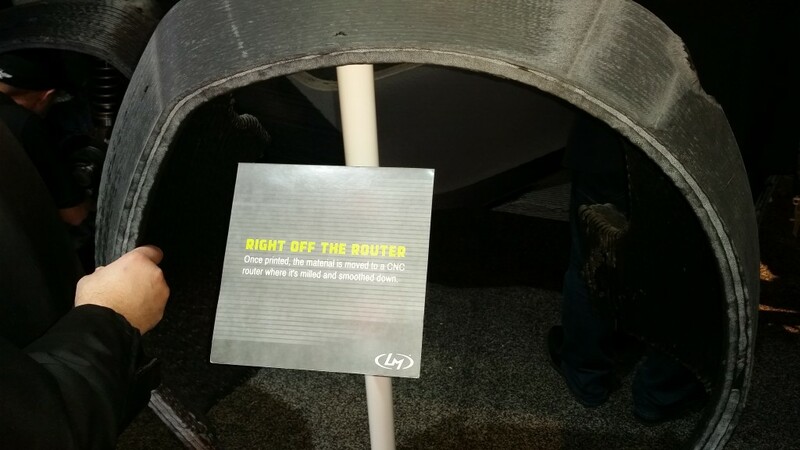 The IRS solves the handling problems inherent to a solid live axle by removing the axle entirely so the wheels, as the name suggests, move independently of each other. 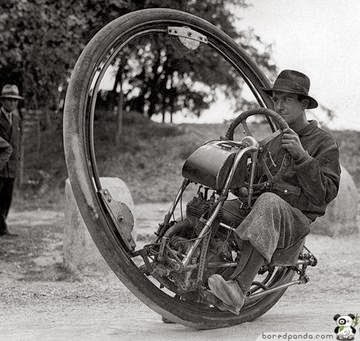 This eliminates the issue of bumps, while also allowing the rear tire on the outside of a corner to bite in at a steeper angle as the suspension travels upward as compared to the tire on the inside, drastically improving grip on the pavement and allowing the car to turn that much harder before centripetal forces cause the rear end to spin out in what’s called over-steer. 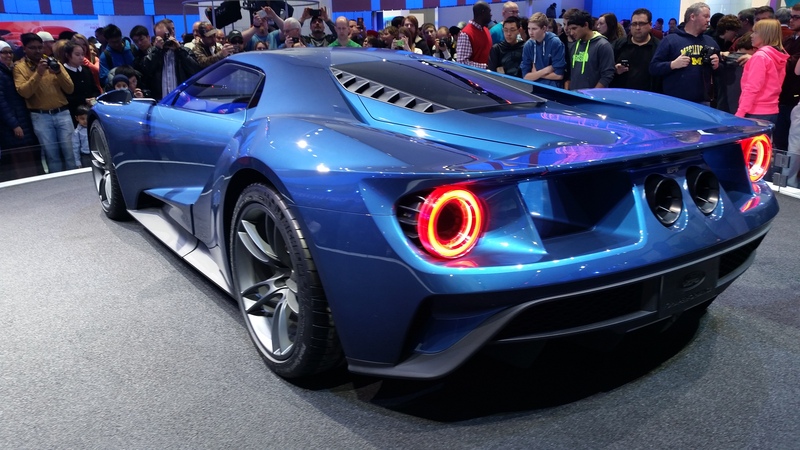 And after fifty years of pony cars, Ford has finally decided to ignore the traditionalists and move into the 21st century by adopting an Independent Rear Suspension. 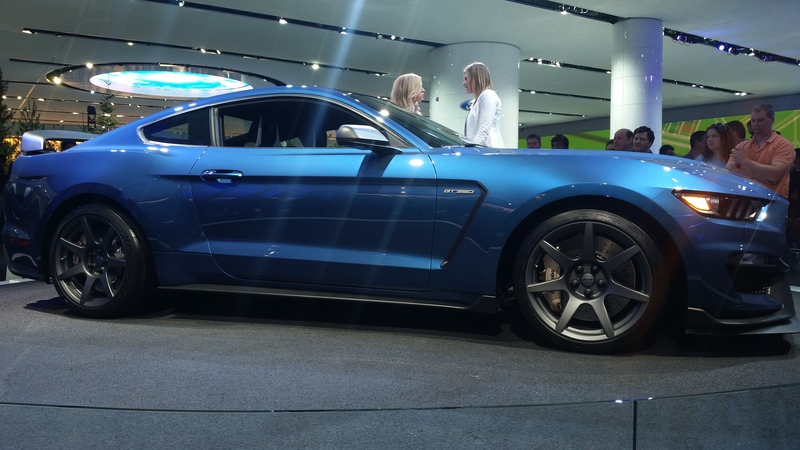 Starting with the 2015 models, the Mustang has finally left the live axle in the dustbin of pony car history along with leaf springs and drum brakes, and I couldn’t be happier about it. 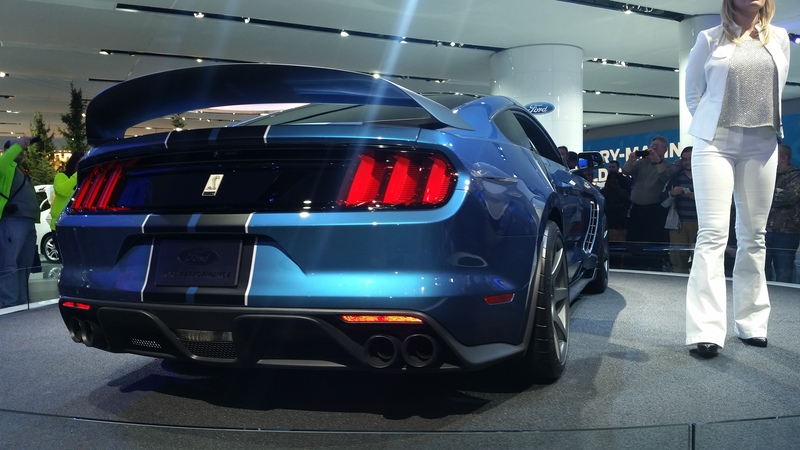 2016 Shelby GT350R, among other objects of desire. 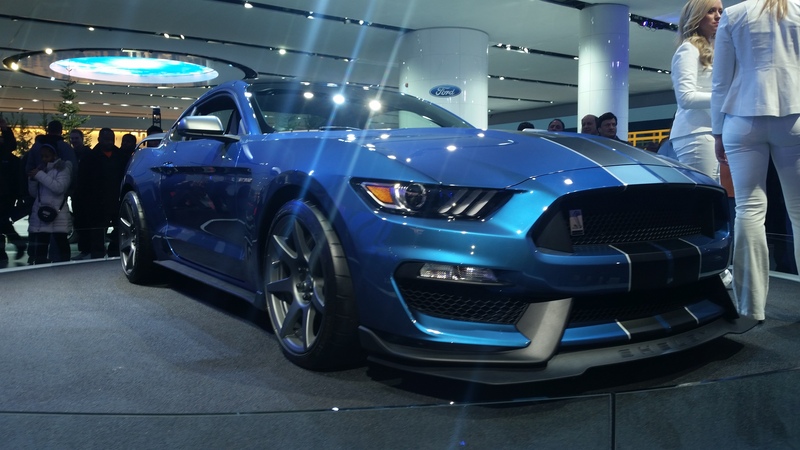 Which brings us to the other hotly anticipated car from Ford; the rejuvenated GT350R. Like its big brother, the now out of production GT500, the 350 is based on a standard Mustang chassis with gobs of bolt on upgrades that turns a good car into a great one. 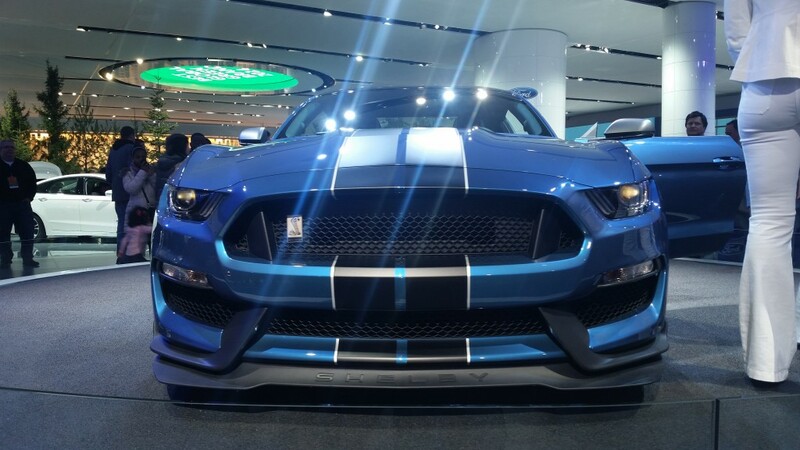 But unlike the GT500, (which like most muscle cars fitted with a live axle was very good at turning rear tires into clouds of toxic blue smoke but handled like a pregnant sperm whale), the GT350 was designed from the onset to tackle the best European performance coupes from BMW, Mercedes, and Jaguar and teach them a thing or two about going around a racetrack. Hi. I’ll be sliding your nose over to the side of your head today. The GT350R is meant to be a track-day monster, sheading almost 200lbs of unnecessary weight by getting rid of such luxury items as the radio, rear seat, sound insulation, and stereo system, then adding in lower, tighter suspension components, lightweight carbon fiber wheels, and a more aggressive aerodynamic package to increase downforce. Don’t forget this sweet wing. Starting price is expected to be around $70k. If the “R” is too racy for you, the provincial GT350 can be had with four seats for the kids and a radio for you to listen to NPR on for $50k. But who would want to put kids in this thing? That does it for the Ford commercial. 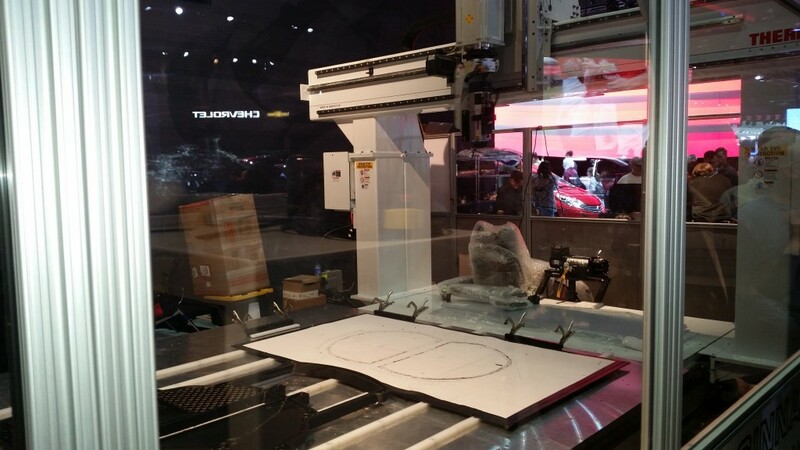 My next post will include all of the other cool things I saw at NAIAS, including photos of an entire car being 3D printed right there on the show floor! You won’t want to miss it. Follow me on twitter @stealthygeek for more. Have you ever wanted to get in on the ground floor with a new author so you could look back years from now and identify exactly when they sold-out? Well, here’s your chance! 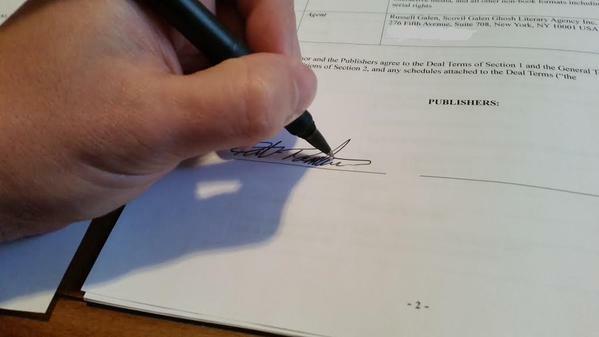 With the new year in full swing, work is underway to prepare my debut novel, THE ARK for launch. The irate, autonomous overlords over at Angry Robot tell me we’re shooting for a November launch window. The first round of promotions went out today with a press release on their company blog to officially announce the deal to the masses. I can’t tell you all how grateful and excited I am to both Angry Robot and my agent, Russell Galen, for the faith they’ve shown in my work, and all the effort that remains ahead of us to get it polished up and ready to drop. Keep an eye on this space for new updates. And for you aspiring authors out there, the After the Draft blog series will continue as I go through each new step in the process. Now, if you’ll excuse me, I must squee. As an author, my belief in the power and necessity of freedom of speech and of the press is unshakable. It is the foundational human right, without which, none of the rest are possible. As a comedian, I hold that nothing is can be out of bounds or off limits. Nothing can be immune from satire and criticism. You get the juiciest burgers by grinding up sacred cows. 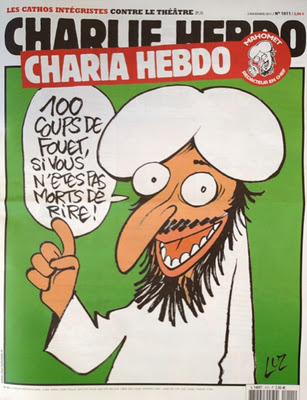 So when I heard the news that earlier today, twelve people were executed by extremists at the Paris offices of the satirical newspaper “Charlie Hebdo” for the “crime” of satirizing the prophet Muhammad, well, my anger nearly boiled over. My heart goes out to those we lost in France today, writers and comedians in their own right, as well as the police officers who fell doing their duty. I want one thing to be clear before I go further. We in the free world are not at war with Islam, or Muslims in general. Muslims are our neighbors and friends. They work alongside us at our jobs, fight alongside us in our military, and yes, mourn alongside the survivors of this senseless act of violence. Instead, we are at war with the people, of any religion, ideology, or movement, who are so fearful, so cowardly, and so insecure in their beliefs that they would commit murder to silence even the most banal criticism. Stephane Charbonnier’s murderers wanted to buy his silence with bullets. Moreover, they want us all to become accomplices to their atrocity through self-censorship enforced by fear. 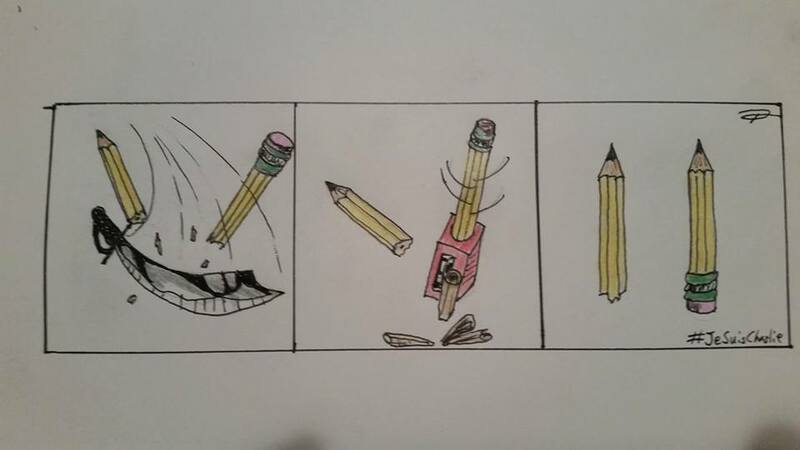 This cartoon originally appeared in “Charlie Hebdo”. 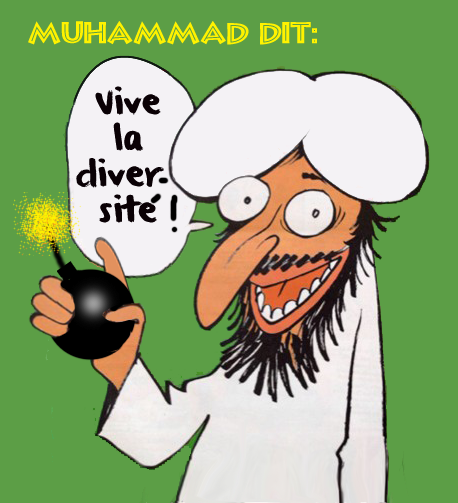 Translated, it says “Long Live Diversity.” And while I’m sure the irony of this act of terrorism only confirming the sentiment the cartoon portrays will be lost on the murderers, I’m confident it isn’t lost on the millions of people looking in from outside of their poisonous ideology. It is my hope that the French authorities capture those responsible swiftly and without any further loss of life, unless of course one of the perps gets plugged while resisting arrest. Straight lines is really all I can do.